Located right within the alpine ranges, Grenoble is all yours! You will be seduced by the richness of its historical centre, its patrimony and the diversity of its museums. After an entertaining ride on the Grenoble Bastille cable car, you will be stunned by the scenic view, revealing Grenoble in natural surroundings. These beautiful transparent cable cars resemble giant bubbles that carry visitors from the town centre (altitude 212 m) up to the heart of Bastille (altitude 475 m), a small fortified mountain and tourist site. Bastille Mountain overlooks Grenoble and is fortified right up to its summit (altitude 498 m). Starting from the banks of the Isère River, visitors have the choice of two trails which lead either through Saint-Laurent to the east or the Dauphin Gardens to the west. A third option is to climb aboard the "bubble" cable cars and enjoy a spectacular panorama of the surrounding mountains. Opened in 1994, Grenoble Museum stands in an exceptional setting. The museum comprises 180,000 square metres which spill out into a vast park comprising monumental sculptures. Founded in 1776, it is one of France's most prestigious museums thanks to a rich collection of ancient, modern and contemporary works that covers close to ten centuries of the history of art. This regional museum of mankind is housed in the old convent in Sainte-Marie-d'en-Haut on the slopes of the Bastille Mountain. This listed building from the 17th century stands high above Grenoble and looks out to the heights of Belledonne and Vercors. Every year, the museum lays on four or five new exhibitions on a wide variety of subjects such as archaeology, history, decorative arts, and rural and industrial heritage in the former province of Dauphiné. 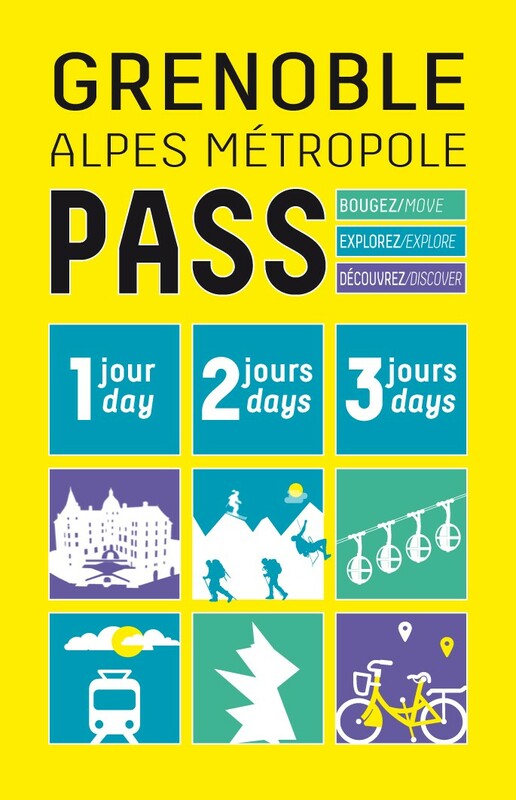 New in 2017: Grenoble-Alpes Métropole Pass, move, explore, discover! This Pass is a unique and essential tool, which allows you to compose freely your program of visits and activities! What is the Grenoble-Alpes Métropole Pass? Buy your Pass online for vacations to come, or to offer it as a gift!